Bitfinex - Spot ExchangeProven track record. Great staff. The most liquid BTCUSD market. 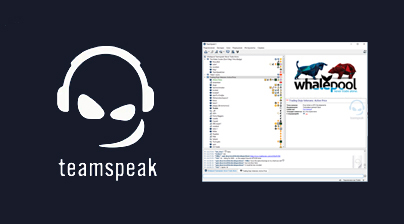 Find Bitfinex reps on teamspeak. Deribit - Bitcoin OptionsUsed by Whalepool users for some time now as the prefered way to trade bitcoin options. Binance - Altcoins TradingTrade your bitcoins for instamined and premined shitcoins. Run & administered by the ex-Okcoin CTO. Bitmex - BTC FuturesWarning, platform very unreliableHigh leverage bitcoin/altcoin futures, very high risk. If you love trading bitcoin and listening to people talking about bitcoin, then this is the place to you. The longest running original bitcoin voice teamspeak. Whalepool TwitterCommunity of daytraders focused on cryptocurrencies. bitmex-wallet-parser A simple script to parse over your bitmex wallet history file and give you an overview of your account.